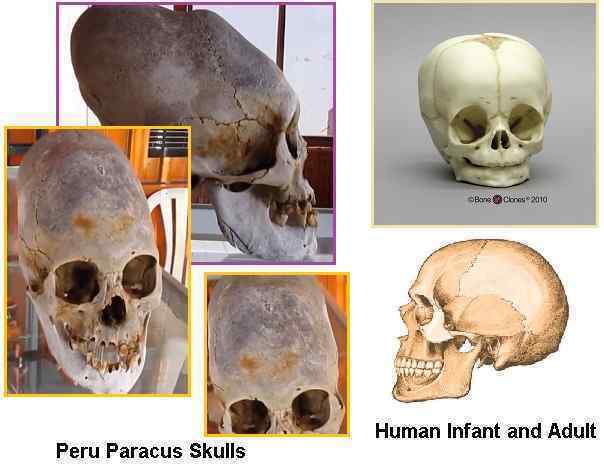 Brien Foerster is done some interesting work documenting the Peruvian Paracas skulls. https://www.youtube.com/watch?v=sX08YcLr-k8 The Zetas have explained that this group was not the Anunnaki nor were they the group that was doing the heavy lifting for the Anunnaki. The Paracas group seems to have settled on Earth, did they have a relationship with the Anunnaki? Were they just another group of opportunist ridding the Anunnaki coat tails? Or were they a positive influence? Was the Earth back then a virtual Star Wars cantina full of groups settling and interacting with each other? [and from another] http://zetatalk.com/index/blog0926.htm The giant hominoids had long faces, but the skulls that have been discovered and ascribed to aliens are not these giant hominoid's skulls. [and from another] http://www.zetatalk.com/newsletr/issue269.htm These were hominoid visitors to South and Central America, revered, and thus if a body was inadvertently left behind, carefully buried. This is another example of the remains of alien visitors being discovered in Peru. Not all of these skulls are identical, as just with the races of man, there were many sub-races of this alien culture. We, the Zetas, likewise have over 100 worlds in Zeta Riticula where transplanted Zetas evolved, so there are differences among the Zetas too. The visitors to Peru were not associated with the Annunki, and were recent enough to be visiting when Peru had been pushed high in elevation, thus the air thin and cool, a desert region rather than swampy and humid. They were almost exclusively Service-to-Other, on a mission to learn mankind’s cultures so as to influence mankind more effectively in the future. Are they attending to Earth during its Transformation, during the present time? They are indeed, and true to their interest in the Peru region, in attendance in S America along the Andes. 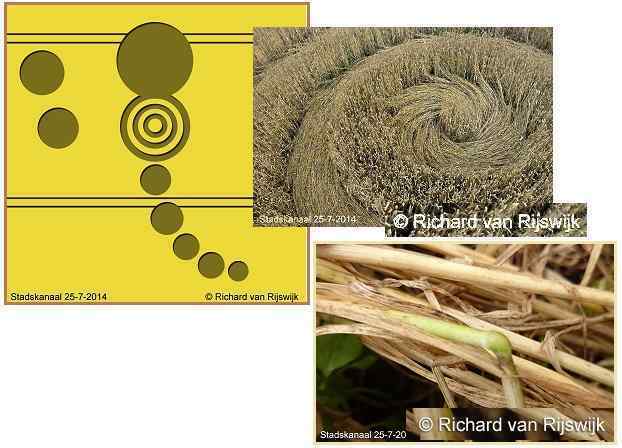 This is a clearly legitimate crop circle design, with grain bent at the nodes and interwoven swirls. The most outstanding feature is the two orbs touching each other, one emitting outbound waves. Where the Earth has been affected by the magnetic hosing coming from Planet X over this past decade, and by licks of the wafting tail, this has been intermittent. This design is saying this situation will no longer come and go, but will remain until the passage has occurred. Mankind will find their problems with electromagnetic pulse and flux increasing, and the wobble increasingly violent, with no relenting. Venus and the Dark Twin, which are not magnetic, are not caught in this dance.